A start-up which uses artificial intelligence technology to address the problem of late payments for small firms is to set up a base in Scotland. Previse plans to create 37 data science jobs in Glasgow, following an £800,000 grant from Scottish Enterprise. Its AI technology is designed to enable large firms to pay suppliers on the day they receive an invoice. It plans to start rolling out its first instant-payments programme with several blue-chip multinational buyers. 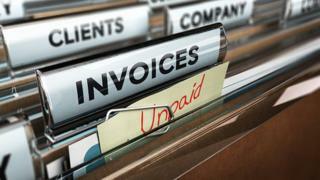 The London-based firm's technology calculates a buyer's likelihood of paying an invoice. It then decides which invoices will be paid, so small suppliers can be paid instantly. Scottish Enterprise and Scottish Development International worked closely with the company to support its move into Glasgow. According to recent research by the Federation of Small Businesses (FSB), 28% of payments to smaller firms in Scotland are late, with firms waiting on average seven weeks before receiving money owed. Image caption Previse co-founder David Brown says failing to pay suppliers on time "makes no commercial sense"
Previse co-founder David Brown said: "Failing to pay on time for the goods and services is not only morally wrong, it makes no commercial sense. "It drives up the cost of business for SME (small and medium enterprise) suppliers which, in the end, will feed through into purchasing costs for buyers. "After all, there is no such thing as free money." Sharon Hamilton, from Scottish Enterprise, said: "It's been estimated that the fintech sector could create up to 15,000 new jobs in Scotland over the next decade - and attracting new companies such as Previse to locate here will play a key role in achieving this potential. "Previse's technology has the potential to make a significant impact on small businesses operating across the UK and is exactly the kind of innovation that will help grow the sector." The FSB said it welcomed any effort to address the problem of late payment but added that a change to the "UK payment culture" was needed. External affairs manager for Scotland Stuart Mackinnon said: "Specifically, we need to see more bigger businesses play fairly by paying fairly and on time."